Love having a clean car? Wash it everyday! 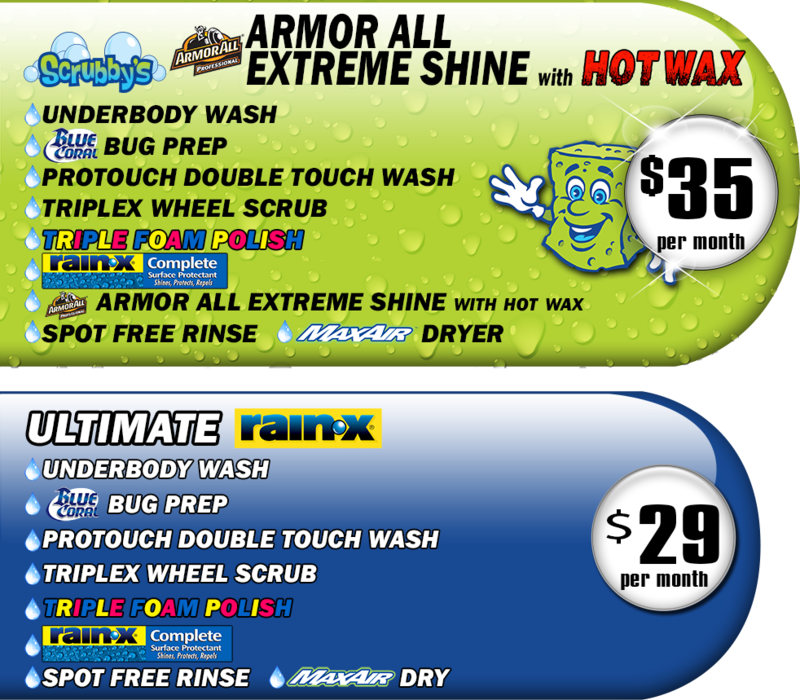 Join the Unlimited Wash Club! Join our wash club to wash as much as once a day with access to both our ProTouch Soft Cloth Wash and Touchless LaserWash. Scrubby’s makes keeping your car clean easy! 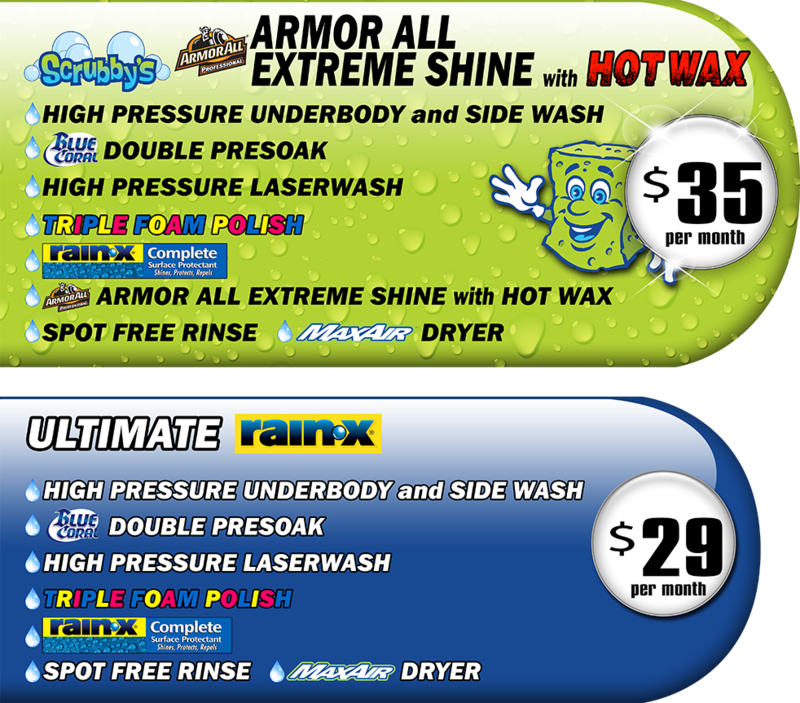 Our Unlimited Wash Club is hassle free and there are no contracts to sign. Your membership is renewed automatically each month with the option to cancel at any time. Check out our packages and give us a call to join today!